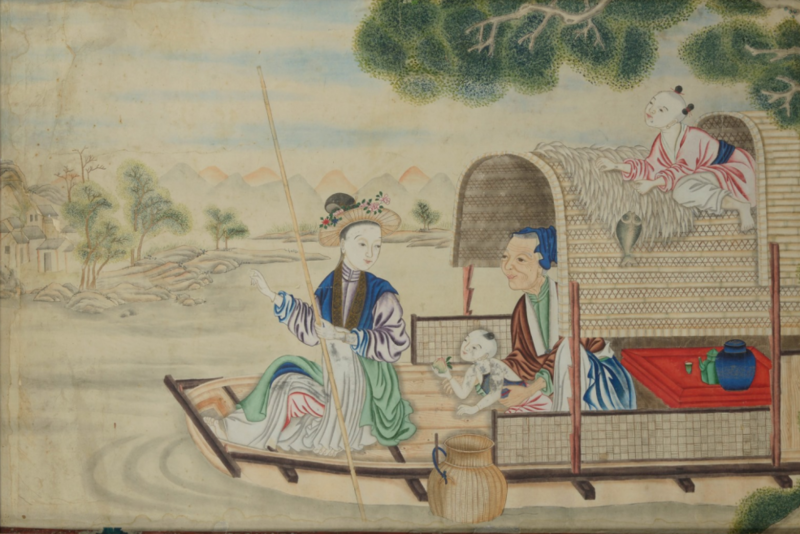 Late 18th century Chinese Export Gouache. H. 70 W. 110 cm. H. 28 W. 43 in.